Head's World! : Episode 32: The Atom's Homecoming Crisis! Episode 32: The Atom's Homecoming Crisis! I know.... I had my third anniversary episode and then I disappear for a couple of months. Sorry about that. I'm hoping I've got this issue sorted out and I can get back to a regular release. But enough with that... I now bring you Episode 32: The Atom's Homecoming Crisis! First up on we look at Geekin' With Head, I take a look at DC and their various reboots. 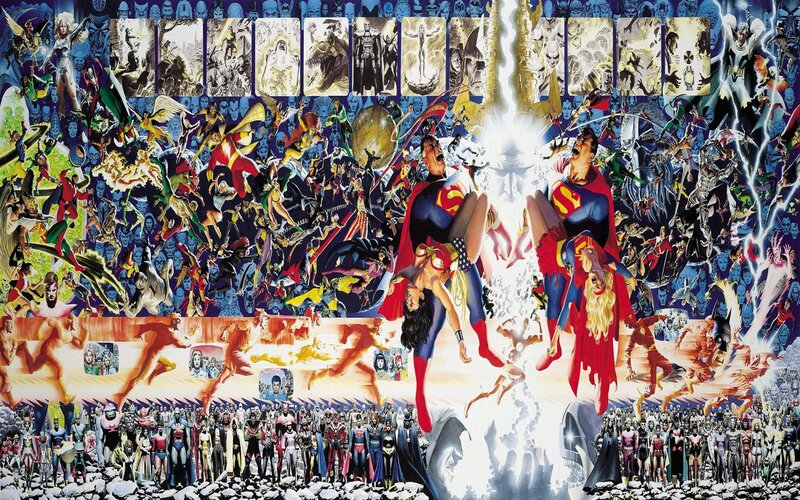 They started it with The Crisis on Infinite Earths. Then they had Zero Hour as the Crisis didn't fix their problems (due to issues I talk about this episode). Then more recently they had Flashpoint which rebooted in to the New 52. And most recently they had Rebirth. Why so many? What happened? This episode I talk about that and also what I would do if I was placed in charge of DC Comics with Head's DC Rebirth. Then we have "What's In Head's Longbox? ", where we continue our Atom coverage with his next appearance... 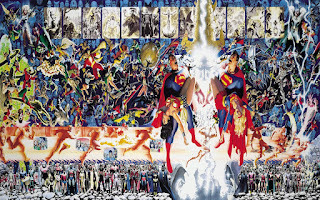 The Crisis on Infinite Earths. The Atom appears in issues 5,8,9 and 10 (According to Mike's Amazing World of Comics). Not one of the covers of the comics, but a really cool poster for Crisis. Use to have this on my wall at work at one point. And Michael Bailey's and Scott Gardner's Tales of the Justice Society. As I say Michael and Scott only are up to issue 4 at this point, as they've had to taken a hiatus, but I'm hoping they return soon as I'm enjoying it. I close out the show with: "Where’s Head Going?" This episode, I look at the podcast: Hollywood Babble On hosted by Ralph Garman and Kevin Smith. And once again, this month I don't play a final song. Still debating on whether I want to do that at this point. If you like the show, be sure to rate us and leave some feedback on iTunes. Also check out The Headcast Network which is available on iTunes. Be sure to join me next time for another fantastic episode of The Head Speaks HeadCast as we check out the Atom in The Atom Special number 3!